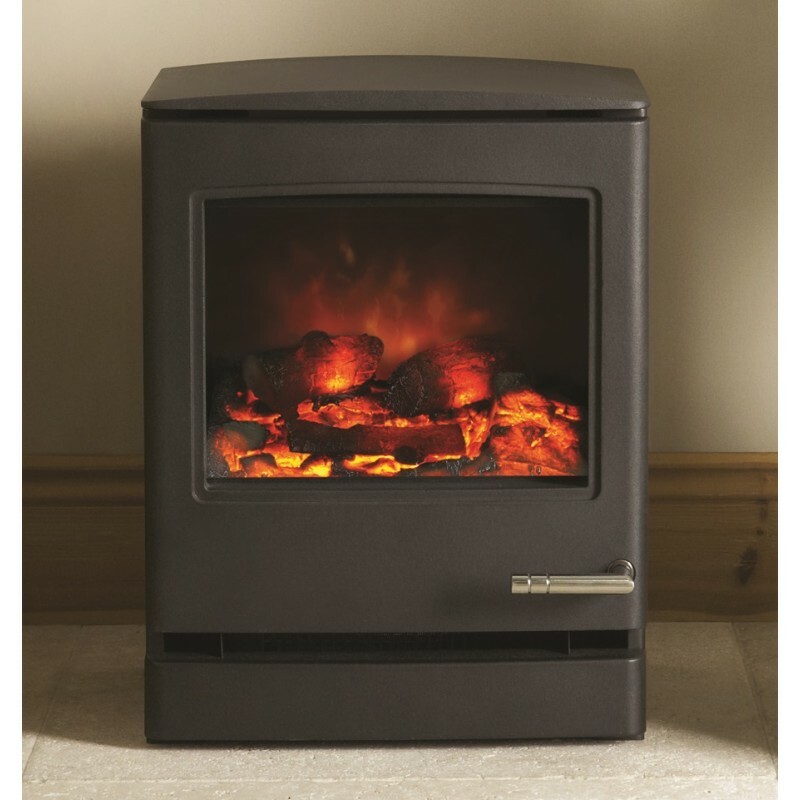 Featuring an integral cast iron top plate and a hand painted log effect, the Club 5 Electric Stove is an ideal solution for those rooms without a flue. 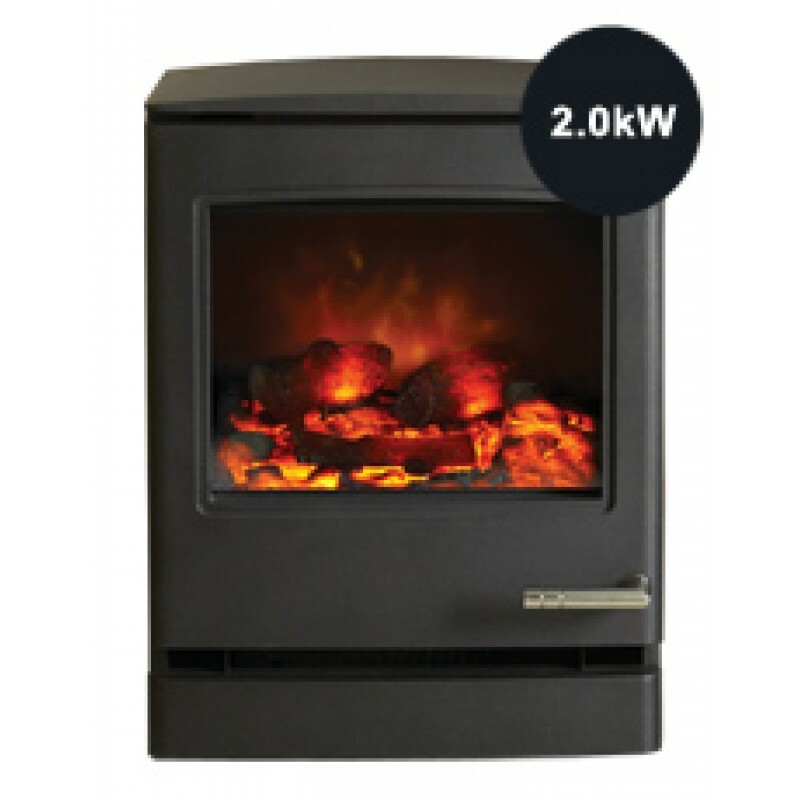 With its subtle, contemporary curved lines, this electric stove emits a heat output of up to 2kW and is highly efficient. 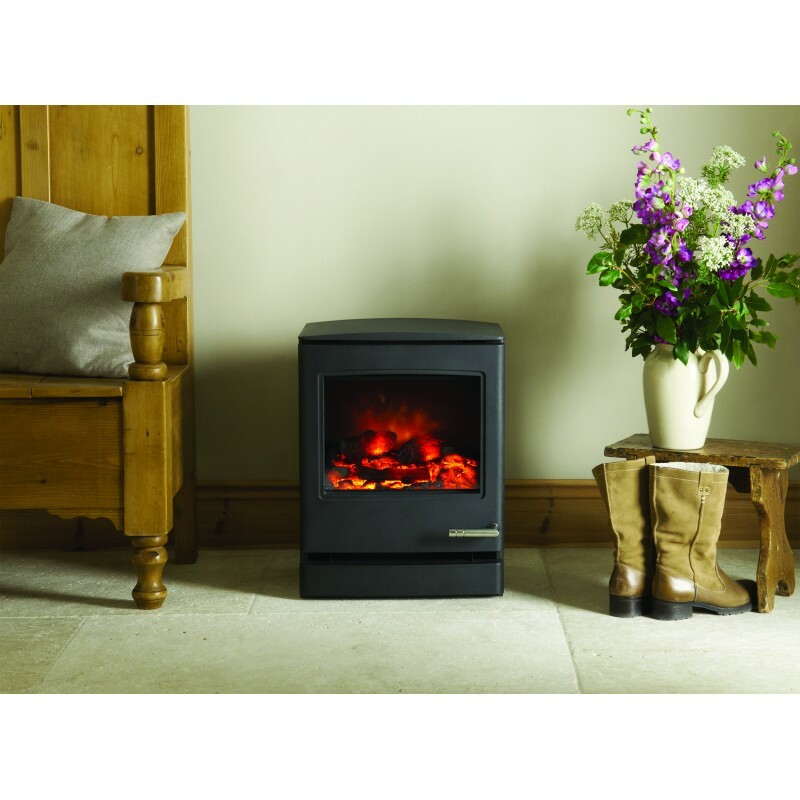 The stunning Club 5 Electric Stove also benefits from our unique Multi-tonal LED technology which allows you to select from 3 brightness levels including a blue boost setting. 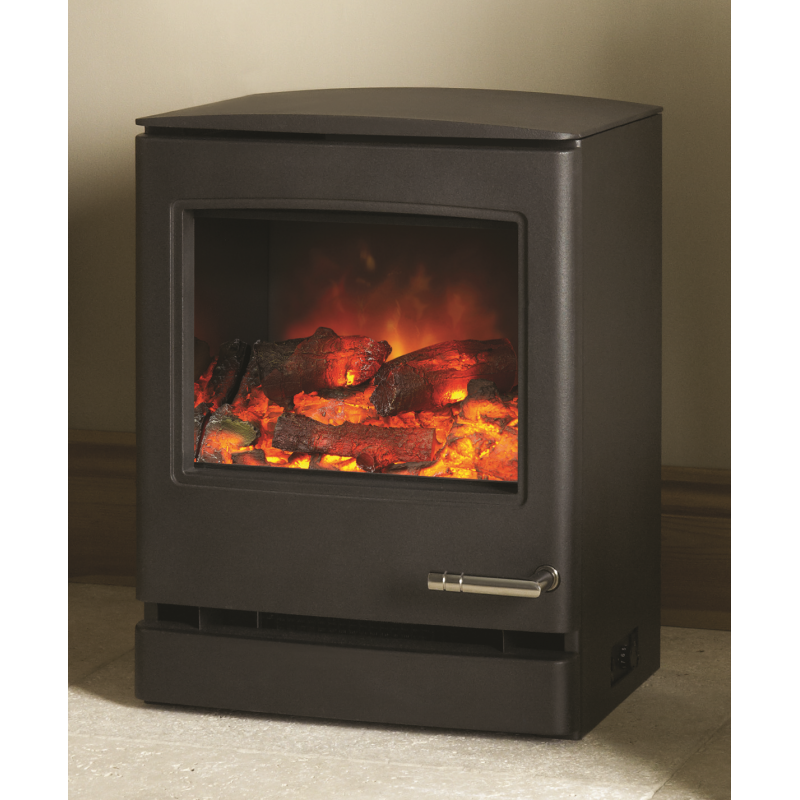 The inviting ambience created by the club 5 can be enjoyed with or without the heat! 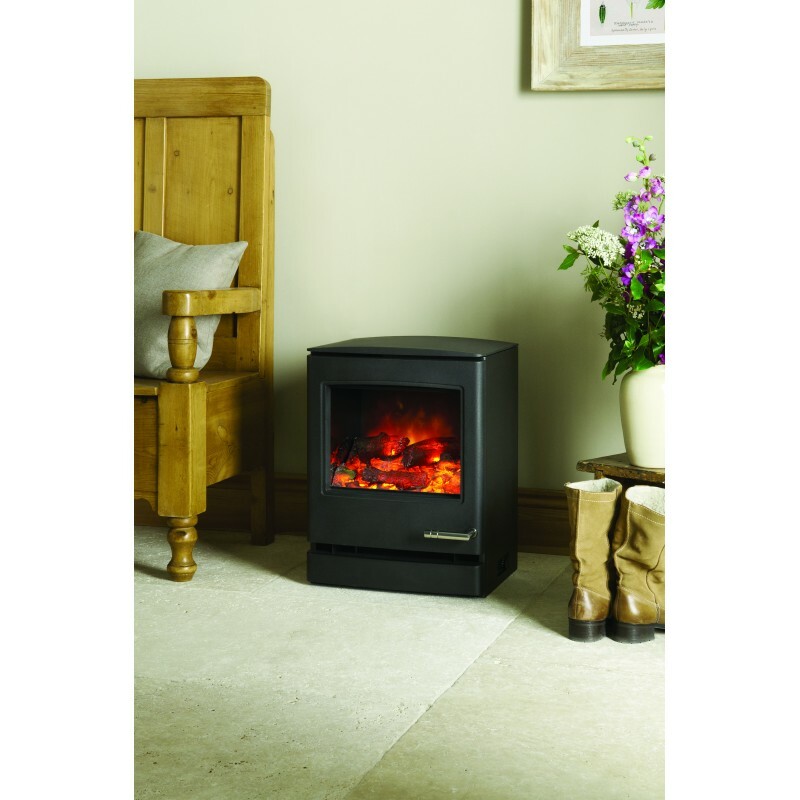 The Club 5 Electric Stove is available in Jet Black Metallic finish complemented with a stainless steel handle and comes in a wood burning and multi-fuel or a gas stove version. 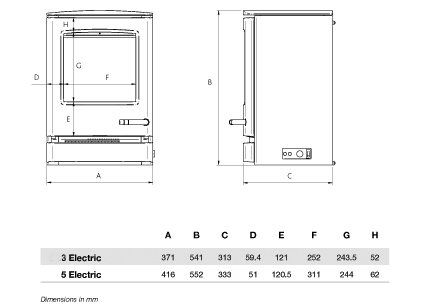 Do you have any questions about Club 5 Electric Stove?